I am testing an existing project on android tablet device but when i run an app, a window is first shown, then the actual app. is this standard behaviour? or am i missing something? with a newly created project i have no such behaviour. What kind of “window” do you see then with your old project? Is it an app or games application? i see a black screen with a blue bar on top with the title. i have this with all apps for android using facebook and analytics plugins. black screen with blue title bar and then the splash screen kicks in after 1 second. i build the game on a different platform (windows) now and see if i still have the same problem. maybe some android files are corrupt on my mac. is it also normal behaviour that the screen turns black when facebook login is prompted over the app? Do you have a screenshot of that window? I guess you are referring to Facebook login window that shows when the Facebook app is not installed? 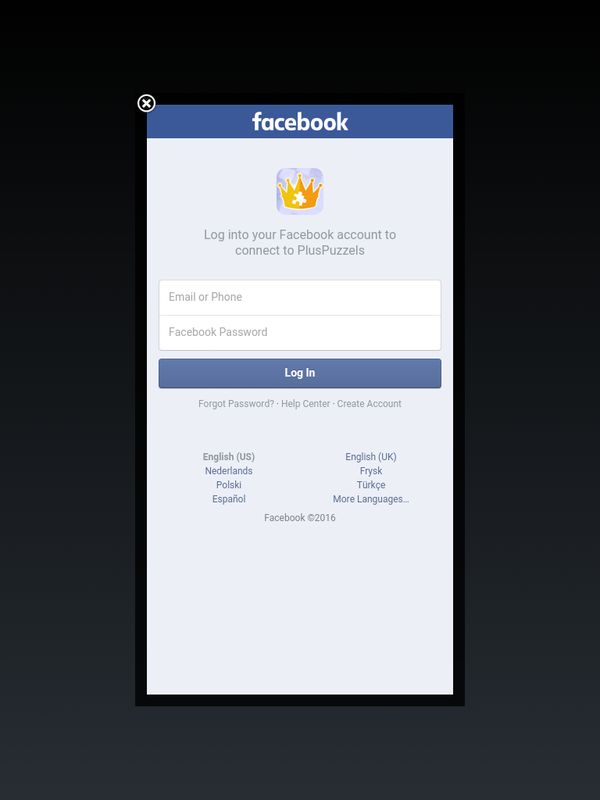 Yes, that’s how the login window looks if no Facebook app is installed (it is a WebView that handles the login). See here for description of the Facebook login.